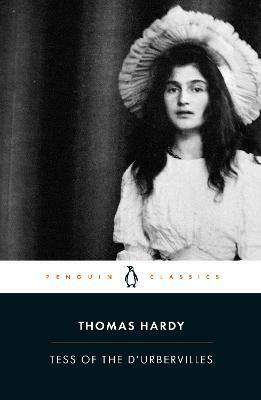 A heartaching portrayal of a woman faced by an impossible choice in the pursuit of happiness, Thomas Hardy's Tess of the D'Urbervilles is edited with notes by Tim Dolin and an introduction by Margaret R. Higonnet in Penguin Classics. When Tess Durbeyfield is driven by family poverty to claim kinship with the wealthy D'Urbervilles and seek a portion of their family fortune, meeting her 'cousin' Alec proves to be her downfall. A very different man, Angel Clare, seems to offer her love and salvation, but Tess must choose whether to reveal her past or remain silent in the hope of a peaceful future. With its sensitive depiction of the wronged Tess and powerful criticism of social convention, Tess of the D'Urbervilles, subtitled 'A Pure Woman', is one of the most moving and poetic of Hardy's novels. Based on the three-volume first edition that shocked readers when first published in 1891, this edition includes as appendices: Hardy's Prefaces, the Landscapes of Tess, episodes originally censored from the Graphic periodical version and a selection of the Graphic illustrations. Thomas Hardy (1840-1928), born Higher Brockhampton, near Dorchester, originally trained as an architect before earning his living as a writer. Though he saw himself primarily as a poet, Hardy was the author of some of the late eighteenth century's major novels: The Mayor of Casterbridge (1886), Tess of the D'Urbervilles (1891), Far from the Madding Crowd (1874), and Jude the Obscure (1895). Amidst the controversy caused by Jude the Obscure, he turned to the poetry he had been writing all his life. In the next thirty years he published over nine hundred poems and his epic drama in verse, The Dynasts. If you enjoyed Tess of the D'Urbervilles, you might like Daniel Defoe's Moll Flanders, also available in Penguin Classics. Thomas Hardy was born in 1840 and wrote both poetry and novels, including The Mayor of Casterbridge, Far From the Madding Crowd and Jude the Obscure. He died in 1928. Tim Dolin teaches English at the University of Newcastle, New South Wales. Margaret R. Higonnet teaches English and Comparative Literature at the University of Connecticut.